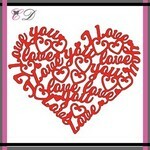 Vickie Y sharing the Love Collage die with you today. 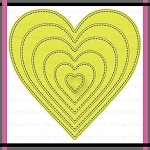 This die is so beautifully intricate and can fit any occasion. 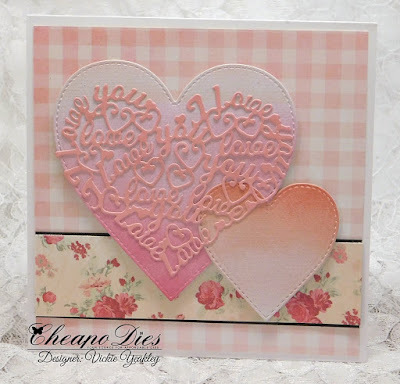 I paired the Love Collage die cut with the Stitched Nesting Heart die cuts. 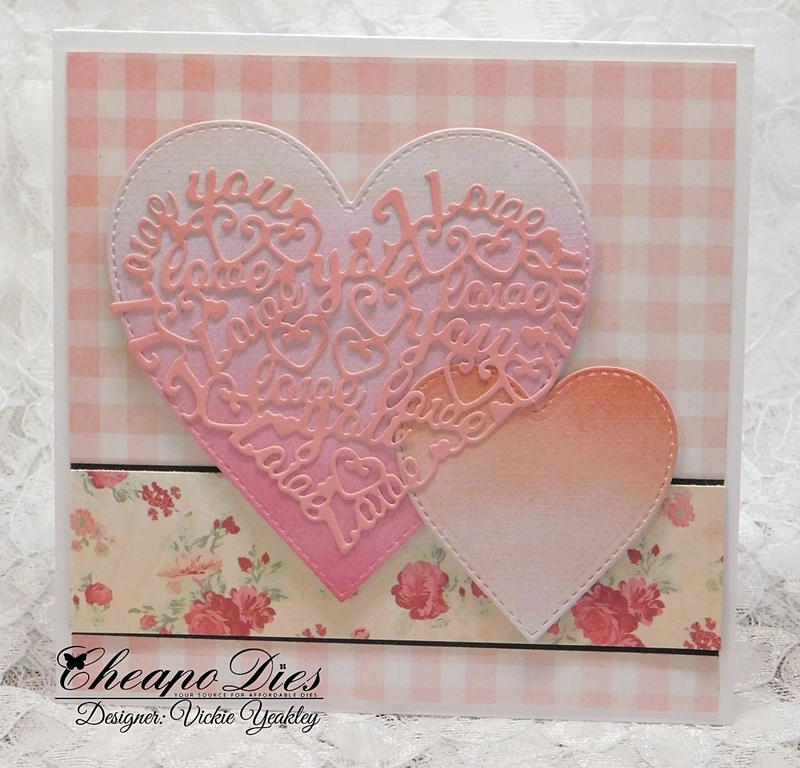 Gorgeous card Vickie..I love, love the pretty soft and dreamy pinks! !